After 22 years as Professor of Dance at SUU, Kay Andersen says goodbye to the faculty, staff, and students. 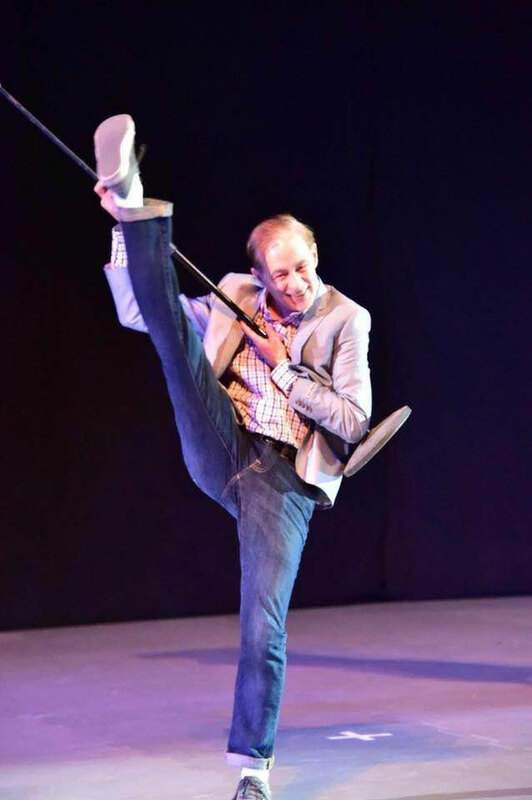 As his last big event, Andersen is choreographing the classic tap dance musical 42nd Street for the Department of Theatre Arts and Dance at SUU. This show is the perfect production to end his teaching career on with his extensive knowledge of tap. Set to retire after commencement, Andersen will embark on countless adventures. Kay is known for his outstanding ability to incorporate tap dancing into everything. The story is told that a young Andersen was found tap dancing on top of a cow at the family farm in Cache Valley, Utah. Kay’s great smile, spirit, and light that he brought to the University will be forever remembered. The College of Performing and Visual Arts is grateful for his hard work, dedication, and service to Southern Utah University. We love you, Kay! Don’t miss Andersen’s wonderful choreography in SUU’s production of 42nd Street happening April 12, 13, 15, 19 at 7:30 p.m. and April 13, 20 at 2:00 p.m.